Those who have had the privilege to visit or live in the Bay Area are likely familiar the attractions of San Francisco and the industry of San Jose. Unfortunately, most overlook what the Tri-Valley has to offer. Comprised of the cities of Danville, Pleasanton, Livermore, San Ramon, and Dublin, the Tri-Valley is as beautiful and exciting a place to spend a day as its more famous counterparts. Hiking, shopping, wine tasting, movie going, and exploring downtowns are only some of the activities that are available to residents and visitors. In this blog, I am going to cook up the perfect Tri-Valley day. Hopefully, it will sound as great to you as it does to me and you will give it a shot. What better way to start off a day than a gorgeous hike? The Tri-Valley is full of great spots to hike, bike, or just take a leisurely walk. Las Trampas Regional Park is a fantastic place to hike in San Ramon. If you are more in the mood for a walk or an easy bike ride, Osage Station Park in Danville will be right up your alley. Other locations include Pleasanton Ridge National Park and Morgan Territory in Livermore. I am going to be a bit ambitious for the start of this fictional day and choose a hike at Mount Diablo State Park just past Danville. The peak of Mount Diablo is 3,849 feet, so don’t feel pressured to make it the whole way up. You don’t need to make it all the way to the top to appreciate the breathtaking view of Dublin, San Ramon, and the rest of the valley. After hiking (and hopefully a shower) it’s time to kick off part two of the day. Hacienda Crossings in Dublin is loaded with every type of store you can imagine. Electronics? Head over to Best Buy. Books? They have a Barnes & Noble. Clothing? Head to Old Navy. After the shopping is done lunch is next on the agenda. Complete with burgers, a steak house, a café, Mexican food, and much more, Hacienda Crossings has the variety to please even the pickiest of eaters. If there is a movie out you have been itching to see, this would be the perfect time. Just stop by the 20 screen theatre and catch a flick with someone special. The first part of this hypothetical day sounds pretty tiring, so we are going to need some serious relaxation thrown in. That’s where Threads Beauty Bar & Spa comes in. A Dublin threading salon, Threads offers more than just hair removal. Pamper yourself with a facial or alleviate the stress on your body with a perfect massage. While you’re there you can also consider getting your hair cut or your nails done for good measure. Located in between Livermore and Pleasanton on Stanley Boulevard, Shadow Cliffs is the perfect spot to watch the sun set. There are plenty of places for a nice evening picnic and if you feel like swimming the water is always nice. Fishing and recreational boating are also on the short list of awesome things to do at this regional park. This has been one busy day and it is time to wind down. 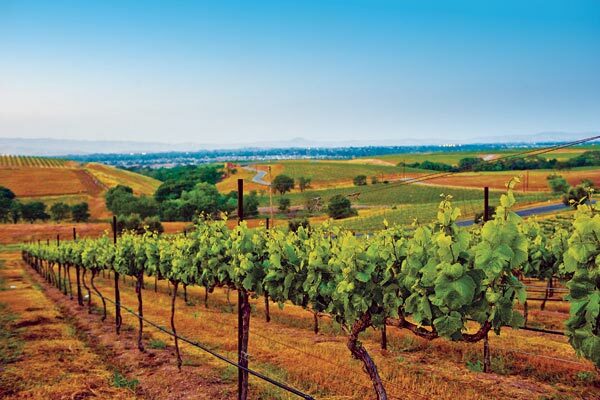 How about a drink or some wine tasting at some of Livermore’s famous wineries? There are an abundance of wineries to choose from off of Tesla Road in Livermore. Not only is there plenty of wine, but there is plenty of great food and entertainment. If you plan ahead you can even catch a concert that you will love. Classic tunes and a glass of wine; there is no better way to end a fantastic day. Now that you’ve read what I think a beautiful Tri-Valley would look like, I would like to hear yours. What are your favorite activities to do around the area?